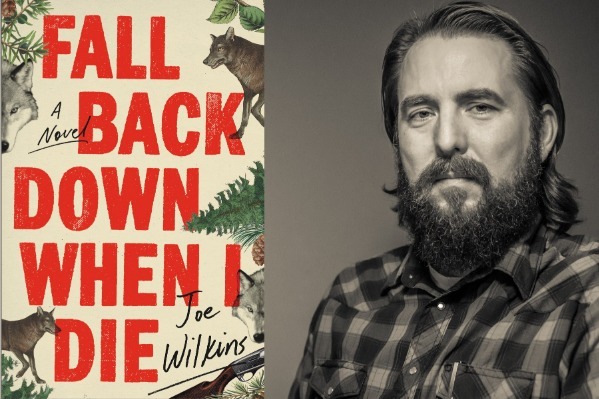 Joe Wilkins grew up in eastern Montana, where he spent his summers working on a wheat and cattle ranch deep in the Bull Mountains. He is the author of a memoir, The Mountain and the Father, winner of a 2014 GLCA New Writers Award - an honor that has previously recognized early work by the likes of Richard Ford, Louise Erdrich, and Alice Munro - and three collections of poetry, including, When We Were Birds, winner of the 2017 Oregon Book Award in Poetry. Fall Back Down When I Die is his first novel. Into this situation comes seven-year-old Rowdy Burns, the illegitimate son of Wendell’s cousin, who is incarcerated after falling prey to addiction. Traumatized, Rowdy is mute and damaged. Caring for him will be a test of Wendell’s will and resolve, and yet he comes to love the boy more than he ever thought possible. That love will be stretched to the breaking point during the first legal wolf hunt in Montana in more than thirty years, when a murder results in a manhunt, and Wendell finds himself on the wrong side of a disaffected fringe group, hoping both to protect Rowdy and to avoid the same violent fate that claimed his father.